My outfit for the panel discussion yesterday was by Anna Scholz for the UK company Simply Be. It was the stretch jersey jumpsuit in purple. This was another one of my outfits I put together in my head a while ago, even before I received it. (Thanks to Simply Be for getting it to me in the knick of time. They were great at sponsoring me with quite a few items for Full Figured Fashion Week™). 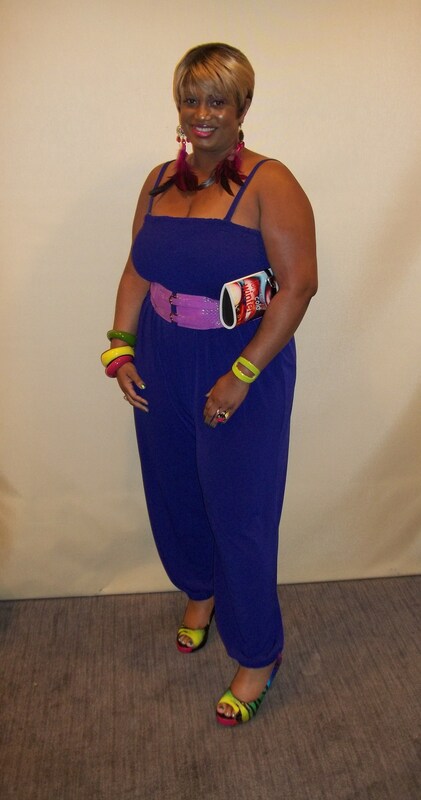 I wanted to try the colorblocking trend with this jumpsuit and therefore I added a different colored belt than the one that comes with it. 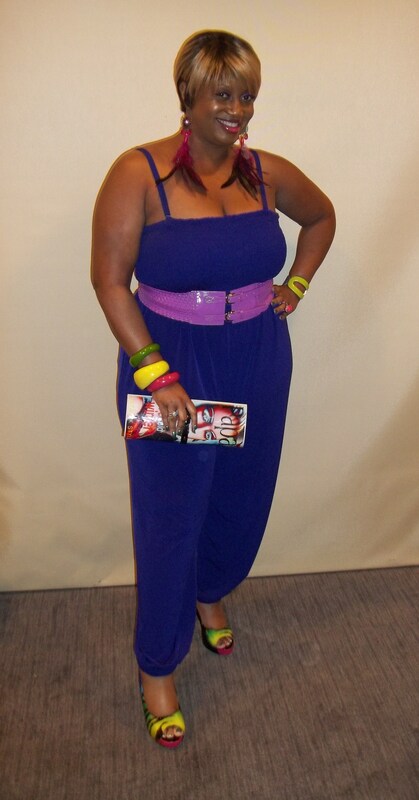 My shoes were a multi-zebra print and I added accessories with colors from the shoe print. My earrings are a pair that I got while in NYC are they are from Earrings Plaza. They’re representing the “feather” trend. The jumpsuit was ultra comfy and made of a great jersey material. I like when I can have a jumpsuit that has gathering at the ankles because that allows you to not have to keep making sure they’re not covering your shoes. Afterall, you want those fierce pumps to show!